Arden House is the first and premier conference center property in the United States. 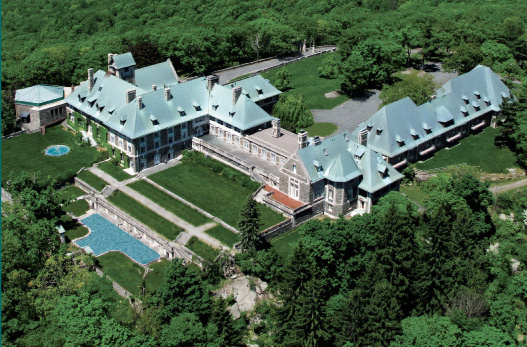 An elegant 100,000 square foot+ mansion set on the top of the 1,300-foot Mount Orama in Harriman, NY, Arden House is located on a 50-acre plateau in a protected 450-acre site, and is conveniently located within 40 miles of Midtown New York City. This unique cultural, historical and environmental asset sits in the middle of the 110,000-acre Palisades Interstate Park with breathtaking views, rolling woodlands and a private 125-acre lake. © Research Center on Natural Conservation,Inc.